Hefeweizen – the beer that made the top beer list in Germany. And when hops, barley and water are added, it makes a great beer. Hefeweizen means: Yeast (hefe) Wheat (weizen) and is pronounced, “HAY-fuh-vites-sen”.) 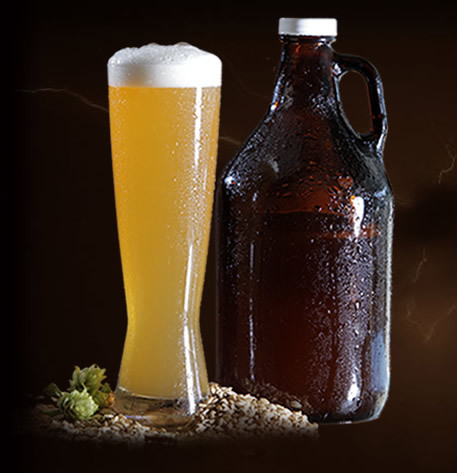 The prefix – hefe – tells us that it is bottle conditoned with enough yeast (hefe) still in the bottle to make the beer cloudy or turbid in appearance. Pale golden, straw colored, spicy, fruit-like, wheat ale, that originated in Germany. This style has about 5% alcohol by volume, and is lightly hopped, giving it very little bitterness. This “top fermenting” – an ale – unfiltered beer is cloudy, using yeast that stays in suspension, producing a unique banana and/or clove taste. Weissbier (white beer) is what it is often called in Germany. Called white due to the light color that contrasted with those of the dark beers that were made before its creation. Enjoy Hefeweizen Beer Style! There are many entertaining and informative articles that you can receive free with your subscription of Black Bucket Brew e-Zine. Subscribe Now for your free emailed copy!